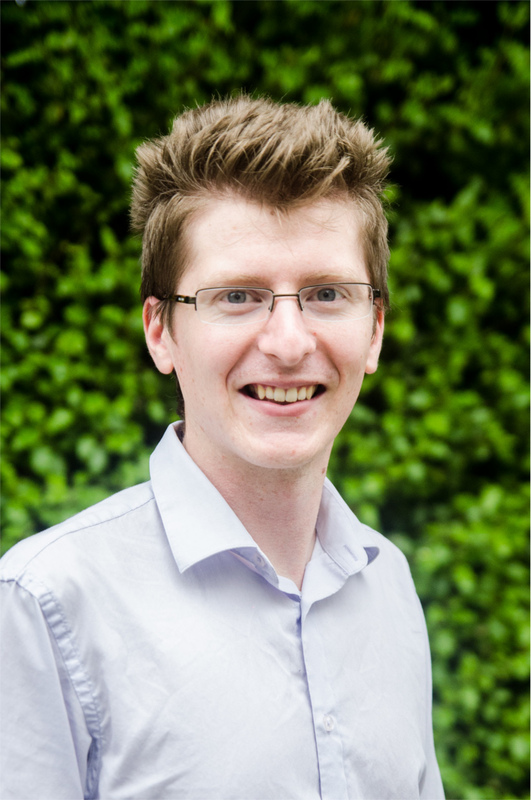 Matthew is a PhD student at the University of Canterbury, and started Dapper Linux Limited out of his interest in computer security and entrepreneurship. Matthew likes Linux, dancing and sports cars. 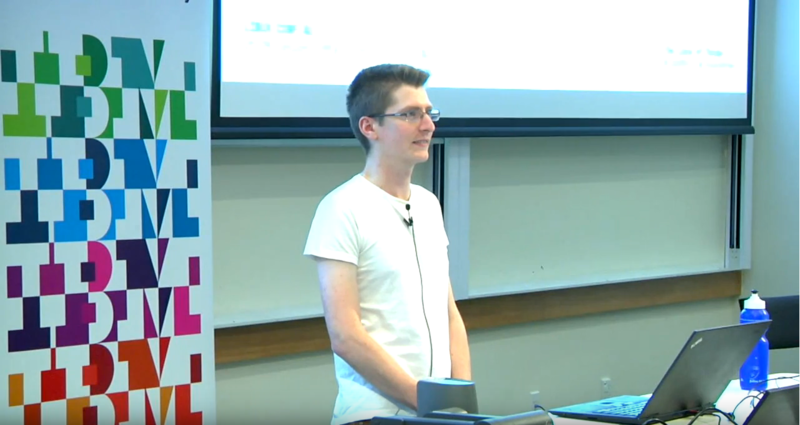 Recently, I was given the opportunity to speak at Linux.conf.au 2019 about my experience maintaining Dapper Secure Kernel Patchset. My talk, Maintaining the Unmaintainable: Picking up the Baton of a Secure Kernel Patchset is a good primer on how the patchset works, and was well received by the audience. 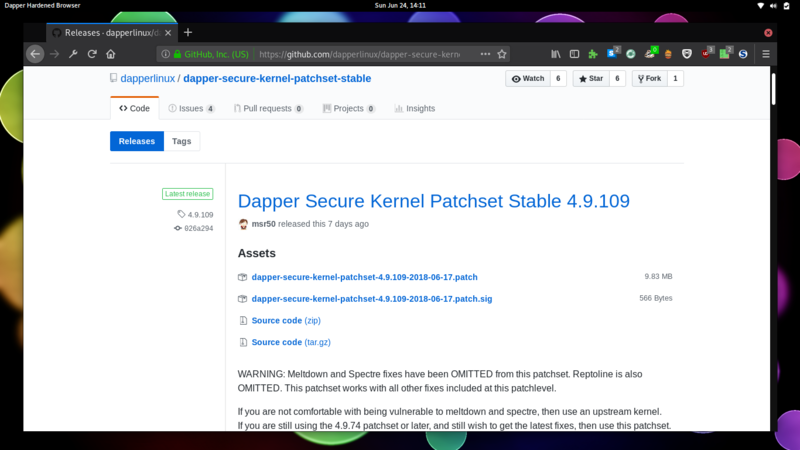 Dapper Secure Kernel Patchset Stable has reached a major milestone, which is 100 releases! What an achievement! 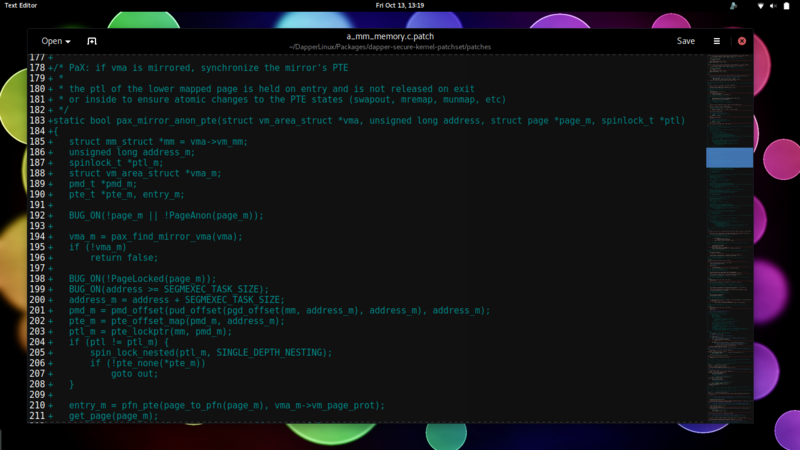 Dapper Secure Kernel Patchset Stable has been keeping the community secure since 4.9.24, all the way to 4.9.124. 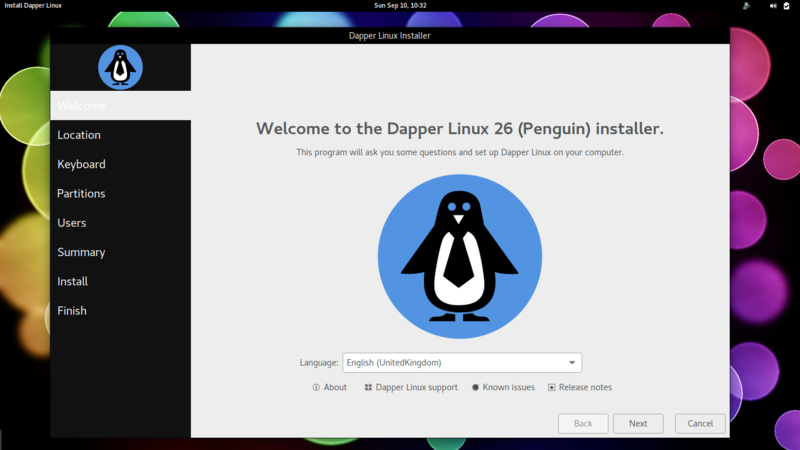 Dapper Linux Limited is pleased to announce the release of Dapper Linux 28! Dapper Linux 28 is the next major revision of the flagship secure operating system developed by Dapper Linux Limited. 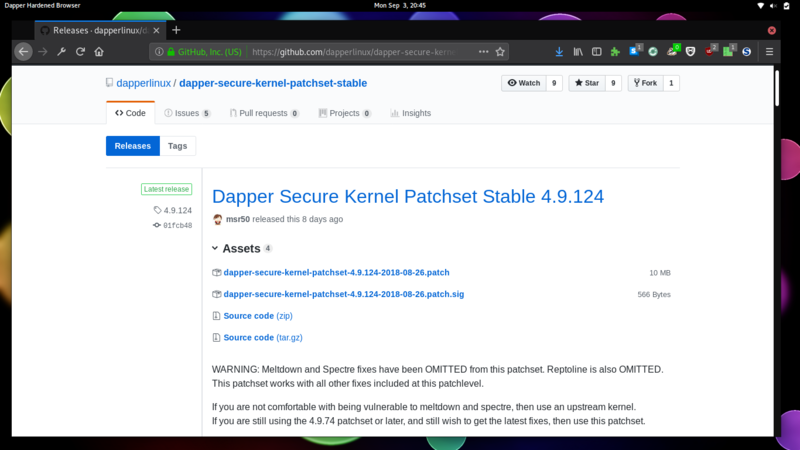 I think its important to give an update on Dapper Secure Kernel Patchset, the technology underpinning the majority of security foundations found within Dapper Linux. It's time for another major announcement, and that is the release of Dapper Linux 27! 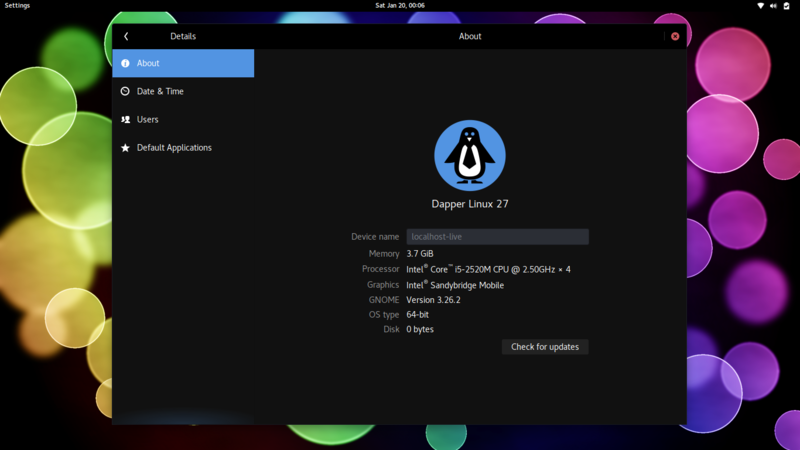 Dapper Linux 27 is the next generation of flagship secure operating systems by Dapper Linux Limited. Dapper Linux is designed from the ground up to keep you safe and secure. Its about time to write a blog post to announce a little side project that I have been working on over for the last few months. As much of the Linux security community is aware, in April 2017, Grsecurity announced that they were discontinuing their publicly available "test" patchset, which bolstered and dramatically improves the security of the Linux kernel. It's time to announce the availability of Dapper Linux 26, the latest release of the flagship secure operating system by Dapper Linux Limited. Dapper Linux 26 is filled with all sorts of great features designed to bring you an easy to use operating system with excellent security. 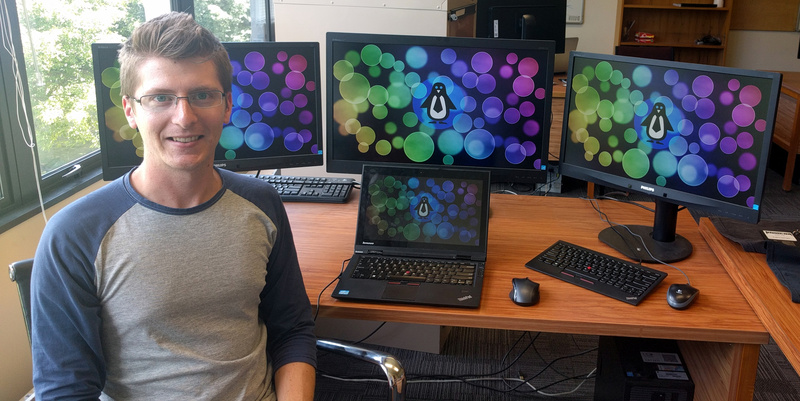 My name is Matthew Ruffell, and I'm a computer scientist living in Christchurch, New Zealand with a particular interest in Linux and computer security. I'm still at University, beginning my PhD mid 2016. This blog post represents a huge milestone for me - releasing my own Linux distribution, and starting my first business. Today, I want to tell you all about a little project I have been working on for the past eight months, Dapper Linux.